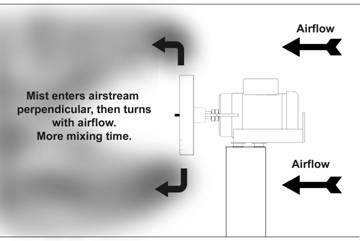 Proptec rotary atomizers are ideal for producing a consistent, high volume of fine mist where controlling the humidity is critical. Proptec rotary atomizers are a highly effective way to cool large areas quickly. 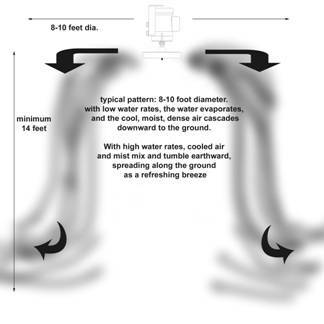 High volume misting, also called evaporative cooling, can drop the temperature 20-40 degrees Fahrenheit under the right conditions. Keep animals and livestock cool with a Proptec rotary atomizer by Ledebuhr Industries.